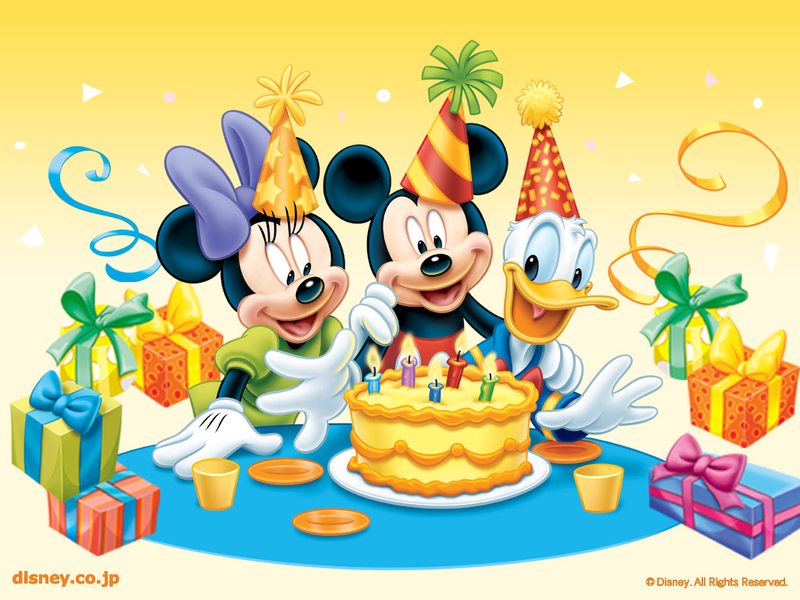 Disney Birthday wallpaper. . HD Wallpaper and background images in the Disney club tagged: disney birthday mickey mouse minnie mouse donald duck wallpaper. This Disney wallpaper might contain pausa caffè, tea break, coffee break, and pausa tè. My mom would love this wallpaper! but did u ever been there? OMG these are so cute. I abasolutly love diney.